Interesting Time: Are You an Average Man? 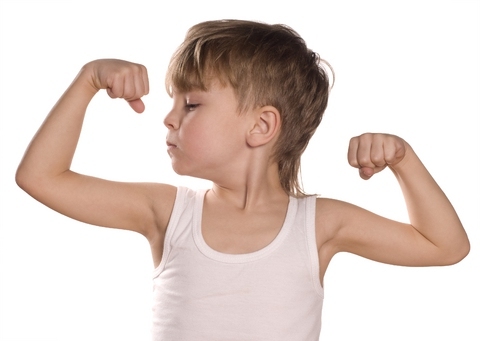 With muscles as large as your quadriceps and back muscles, it's safe to call biceps a small group of muscles. They are, however, quite important. 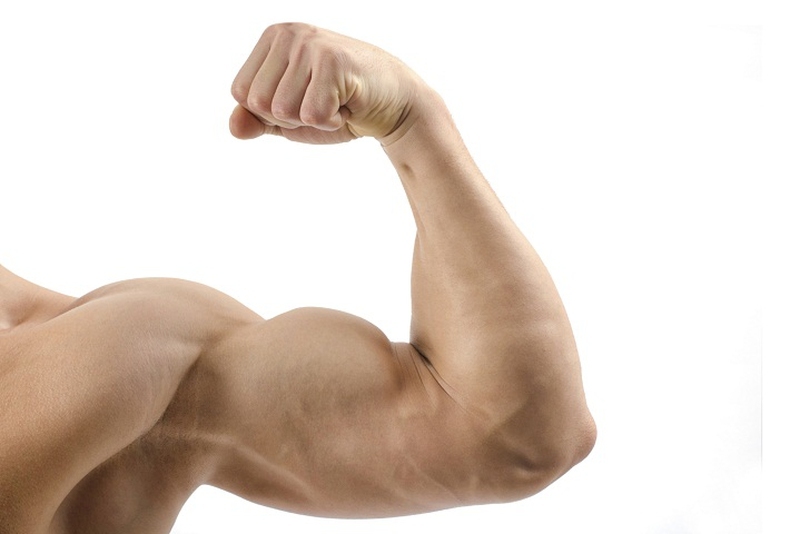 A bicep is basically a single muscle with two heads located in your upper arm between the elbow and the shoulder blade. Both heads of the muscle arise on the scapula and form a single muscle by joining with each other. Your biceps crosses your elbow joints and the shoulder as well, but their main function is to flex your forearm at the elbow – they also play a role in supinating your forearm. Your put your biceps to work whenever you grab, pull, carry, huge, or lift something. Biceps are also one of the most coveted muscles after abs probably, and that's why many people want to know about the average arm size and the exercises that would help increase their bicep measurement. Different people have different reasons to find out their exact bicep size. Some people would want to know it to compare with the average bicep size and determine how much more time they should spend in the gym to make their arms look perfect. There are others, women in particular, who would want to measure their biceps to see if they are slightly larger than the average bicep size. Whatever the reason, it is important to first find out more about what the average bicep size actually is. The chart below tells you the average bicep size in different age group. As for measuring your bicep size, it is easy. Take a tape and wrap it around your arm hanged by your side to take measurements. Be sure not to flex your arm. You can now compare the readings with the following chart. If you have taken the measurement and your biceps seem smaller than they should be, don't worry. You can still do a lot to train and improve your bicep size to make it come closer or even beat the average bicep size. You can improve the size of your arms by using a combination of weight and resistance training. It is a good idea to work with an instructor because your biceps will grow only if you pay attention to the right exercise intensity, exercise volume, and time under tension. It is also important to hit your biceps from different angles to help them grow. Here are some highly effective bicep exercises that will help you improve your biceps in size. Start by kneeling on an inclined bench with your arms hanging by your side and your chest leaning against the backrest of the bench. Hold a barbell in each of your hands. Maintain a slightly less than shoulder-width distance in your arms while making sure your arms make a 90 degree angle against your chest. Curl the bar up 8-12 times. Hold a barbell in your hands with palms facing down. Make sure your grip is a little less than shoulder-width apart. Curl 8-12 times. Hold a dumbbell in each hand and sit on an inclined bench. Now, rest your hands by your sides. With your palms facing your body, perform some hammer curls. You can also do regular curls with your palms facing up. Be sure to complete 8-12 reps.
You will need an exercise ball to complete the move. Sit on a ball and hold a dumbbell in each hand. Let your arms hang by your sides with your palms facing inward. Curl your arms, turn your palms up and lift both arms simultaneously. 8-12 reps are fine. Sit on a preacher bench with your back resting against the pad. Adjust the seat to ensure your armpits level with the top of the pad. Hold a curl bar with your hands shoulder-width apart and palms facing outward. Curl. You can also click HERE to learn more exercises for bicep size. Even though these exercises may not look that difficult, you should always maintain a proper form and avoid doing too much in the beginning. Just be sure to follow a proper workout routine to get bigger arms. It is a good idea to know the average bicep size to compare yours with it, and here you can also find other kinds of "average" American man have. See if you hit the average line or not. I enjoy the data on your web sites. Cheers!